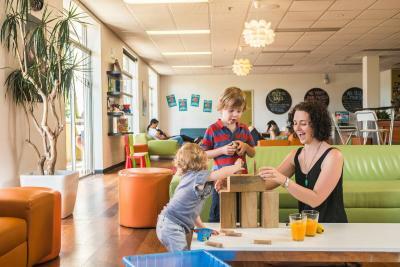 Lock in a great price for Adelaide Central YHA – rated 8.8 by recent guests! Excellent common areas and large kitchen with free pancakes offered every morning. The place was clean, in a great location and the rooms had very large lockers that would fit even the largest of suitcases. 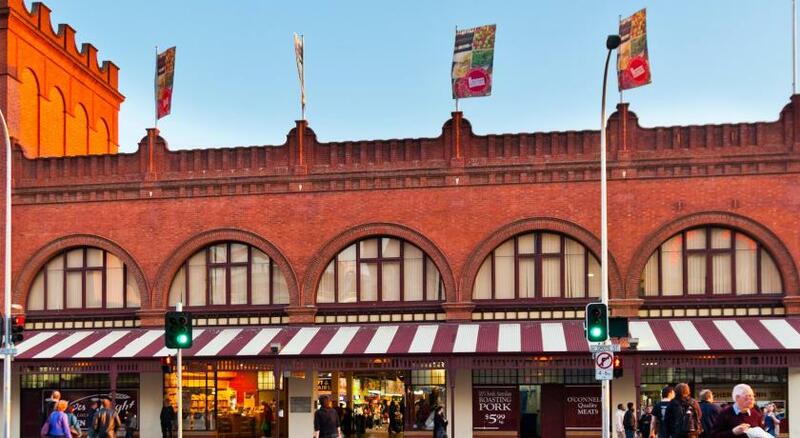 Location is perfect to visit everything downtown in Adelaide! This place is “green” and so well run! Top notch operation. Free pancakes from 8 AM until 9 AM, can’t beat that! They keep the place super clean, the staff are very nice, the price is great, and they have great relations with the community. Top notch operation. Super clean. Great location. Nice staff. Great price. staff were very nice. the 3 rooms that i viewed all seemed clean. i spent one night (out of the originally booked four) - and it was clean. I liked the ease of use of bathroom stalls, vending machine well stocked, room key as a card. Rooms were fully air conditioned and so were public spaces. Loved the spacious kitchenettes. Public spaces were comfortable and provided sufficient ambiance. Free coffee would be nice even one complimentary cup. All was ok. All rooms had keyless entry, front doors locked after 10pm, 24 hr onsite staff, clean linens, towels ($2). Huge kitchen. They include free pancakes for breakfast. Very cozy dorm room and bed; big lounge area; free wifi in the room (although staff said it's only in the lounge, but I had it in the room); decent roommates; hair dryer in the bathroom; drinking water station; huge locker with power point; very safe! Great locations! Helpful staff. Great couple room. The room was big, clean, had a TV, table. We had a wonderful stay at this YHA! Very large property with good facilities and helpful staffs. Many thanks to Camilla who helped us with last minute bookings for the Kangaroo tour and the 2-day Great Ocean Road one. 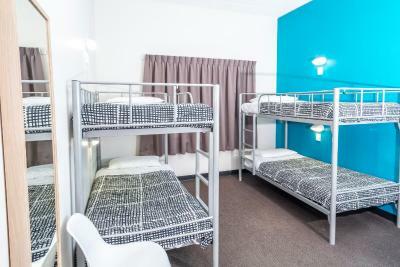 Adelaide Central YHA This rating is a reflection of how the property compares to the industry standard when it comes to price, facilities and services available. It's based on a self-evaluation by the property. Use this rating to help choose your stay! 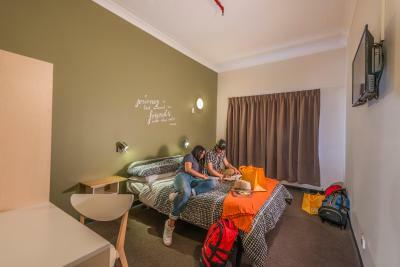 The award-winning Adelaide Central YHA offers modern air-conditioned accommodations in the heart of Adelaide city center, overlooking picturesque Light Square. Guests have a choice of dormitory and private rooms. Free WiFi is available in public areas and all-you-can-eat pancakes are served in the guest kitchen between 8:00 - 9:00 daily. 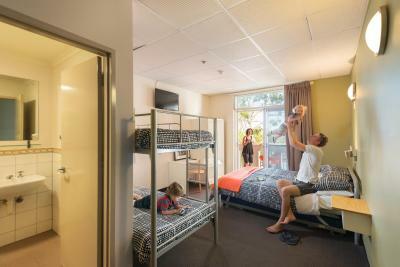 Each air-conditioned room include large lockers, personal bed lights and fresh decor. 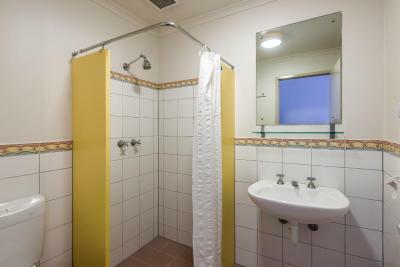 All rooms offer a private or shared bathroom. Some rooms also have a balcony with outdoor seating. All private rooms offer an private bathroom, a TV and tea/coffee making facilities. 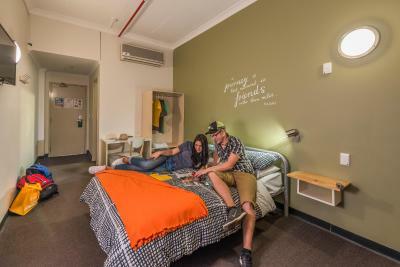 Facilities at Adelaide Central YHA include a 24-hour internet kiosk, luggage storage, shared dining room and a self-catering kitchen. The communal lounge area offers comfortable sofas, plus a flat-screen TV with a DVD player and cable channels. The hostel also offers a tour booking service. 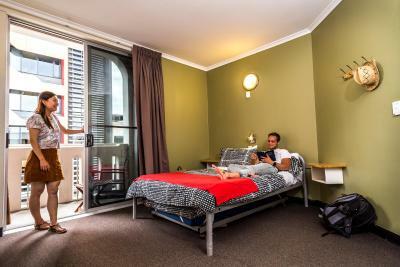 Adelaide Central YHA is ideally located for enjoying the West End, with markets, shopping, restaurants, cafes, bars and nightclubs within walking distance. The property is just 20 minutes' by bus from Adelaide Airport or Adelaide Parklands Rail Terminal. 뀐 Located in the real heart of Adelaide, this property has an excellent location score of 9.2! 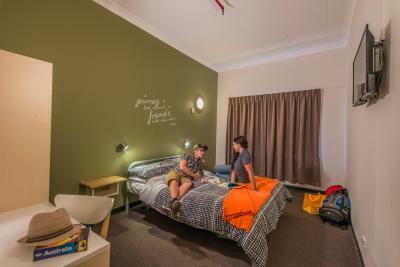 When would you like to stay at Adelaide Central YHA? This private room offers an private bathroom, a flat-screen TV and tea/coffee making facilities. This large room offers a balcony with outdoor seating, a flat-screen TV and a private bathroom. Please note that the rate is based on 1 guest in a bunk bed. Area Info – This neighborhood is a great choice for travelers interested in convenient public transportation, wine and parks – Check location Excellent location – show map Guests loved walking around the neighborhood! 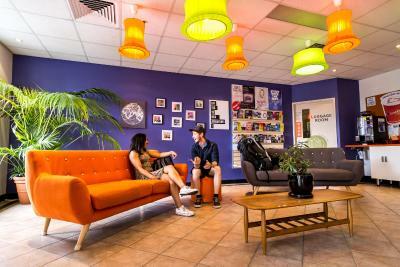 House Rules Adelaide Central YHA takes special requests – add in the next step! Adelaide Central YHA accepts these cards and reserves the right to temporarily hold an amount prior to arrival. Linen is provided for all rooms. Towels are included for all private rooms only and can be hired for AUD 2 by guests in multi-share accommodations. Guests under the age of 18 can only check in with a parent or official guardian over 21. We were supposed to have a parking space (confirmed by email) but when we arrived there was no spaces available. The aircon was pretty poor and also really noisy. Could do with an upgrade in the near future! The pancake situation is a farce. One poor fella making 1 pancake at a time for 20+ people. This should not be considered breakfast. Great staff. Helpful in regard to the parking issue but unfortunately they couldn't make more spaces! They roller door close kitchen at 11:30pm cannot access anything including your own food and drinks until morning. Be careful not to put medications or anything you might need in there. Late night snacking or a cuppa is out of the question. Beds were very comfortable, own locker in room, it was clean and quiet with large common area, kitchen and balcony. 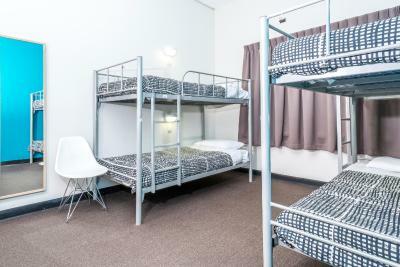 Bathrooms were very clean with plenty of showers and toilets, staff are friendly and helpful, great location right in the heart of adelaide CBD, great working wifi. I had a lovely stay here and highly recommend. Pancakes in the morning... the only toppings available was sugar and jam.. not very exciting. Some lemon juice to go with the sugar would have been great! 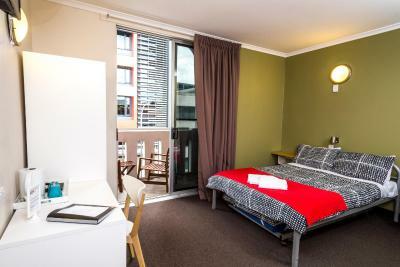 Perfect location, close to main street of CBD and public transport to airport. Was given a little information slip on how to get to the airport, which buses where available and how much it would cost! I thought that was a very unique thing, as i haven't been offered that anywhere else! Air circulation was not great in my room, was feeling stuffy and a bit suffocating when all people were in the room. It was fixed after turned on the air-con. Great expirence staying in this YHA, the living area is my favourite, kitchen is big and clean, cozy belcony. 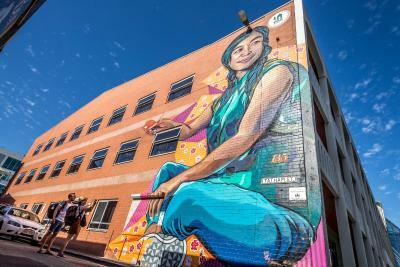 Really well located in the centre of Adelaide. 10 mins walk to the main street. Nice food and cafe around. I'd have to be picky to try and find a fault. As with most backpackers the beds are very basic however I slept reasonably well during my stay and being 6'3" I was able to hang my feet off the end and be quite comfortable. i extended my stay a little bit. when it was BBQ night, the male staff was not quite friendly to me. Free wifi was a misnomer. Free in the commons area on a 24-hour timer, but they had a pay service that would reach the rooms, apparently.